On Saturday, No. 1 Alabama knocked off No. 6 Texas A&M by a final score of 49 to 42 in a game dominated by the offenses to avenge last season's home loss to Johnny Manziel and the Aggies. However, A&M isn't out of the national championship picture just yet. After the game, coach Kevin Sumlin reminded his team who was dancing on the field at Bryant-Denny Stadium at the end of the game last year; it was A&M. Yet Alabama was the team that went on to win the BCS title. "We have no greater example of how to handle one game than the team in the other locker room," Sumlin said following the contest. "Right now it is difficult, but by Monday we've got to get back to work because our goals are still out in front of us." And Sumlin is right. If you look at what the Aggies did on Saturday, their chances the remainder of the season are extremely good. Johnny Manziel had 562 yards of total offense, and Mike Evans hauled in 7 passes for 269 yards against the Crimson Tide's vaunted defense. Imagine what they're going to do against regular defenses. LSU is about the only defense remaining on A&M's schedule that compares to Alabama's. That now becomes a huge game, as it will be when the Tigers take on the Tide. Clearly it's advantage Alabama right now. They were the better team Round 2. Both offenses were stellar, but the Tide's defense made more plays and they were better on special teams as well. That's why they came out on the winning end. That being said, the season is far from over. The Aggies believe they're still very much alive in the national title picture, and judging by the way they played Saturday, they're probably right. 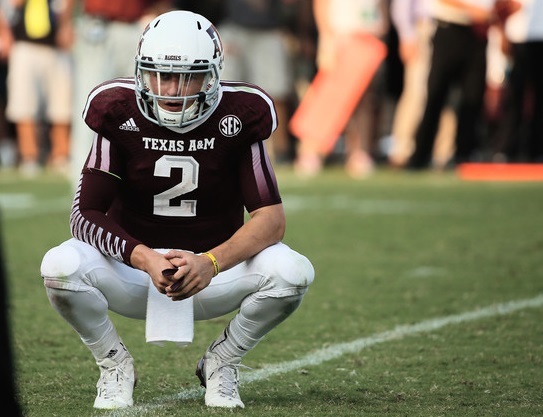 "This isn't the end of our season," Manziel said afterwards. "This wasn't the last game of the season. Alabama lost a game last year and still went on to win the national championship. They lost to LSU the year before and still went on to win the championship. Anything can happen. This is college football. Crazy things happen each and every week." Spoken like a true optimist. They'll need some help but I agree. They're not out of it yet by any means.